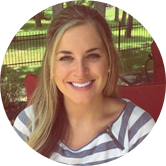 Lead the way with digital writing for your school! when writing on Write About than they were before. Teachers can register and explore the Write About platform for free. You can view content created by other teachers and find inspiration for your students. 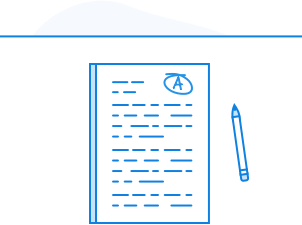 Your students can write 5 Posts each as a trial of the full Classroom features. Co-Teaching is supported on the School platform but individual teachers cannot access another teacher's student accounts until they are connected to a School membership. Classroom memberships renew annually. You can cancel at any time. Contact us to update your credit card or make another change. Please fill out the redemption form and we will send you specific instructions. We use tablets. Do I have to pay for an app? No, Write About is a web-based platform accessed in a browser and using your online membership. Yes, everything in your existing account will remain! Questions about specific Features or Getting Started? Please visit our Help center. 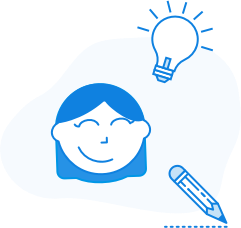 Write About is an academic platform that helps students write more and become better writers across the curriculum. Many Schools and Districts purchase it within their Language Arts, Writing, and/or Reading budgets. Others leverage Title or Grant funds related to Literacy, ESL or Special Education. Because Write About provides educators with access to writing data and work samples, the Outcomes easily align with these purposes. We have a few teachers interested but our entire school isn't ready yet, how should we start? Multiple teachers from the same school/district can get a discount on individual Classroom upgrades! That can be activated with a single credit card payment or payment by invoice. 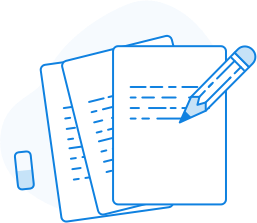 The Write About School platform and account structure is designed to be accessible to schools of all sizes, regardless of the number of students. Consider a variety of funding sources or starting with a Multi-Classroom rollout if you aren't ready for a schoolwide adoption. Schools can pay by credit card or check. We can process a school credit card over the phone. We need your W9, can you send that? Yes, please reach out to info@writeabout.com and we will respond promptly. If you are upgrading a group of teachers for Classroom accounts, we will upgrade the the registered accounts based on their corresponding email. If you are purchasing a School account, we will upgrade existing registered teacher accounts based on their corresponding email. We're happy to walk you through getting Write About set up in your classroom.